In this introduction a brief acquaintance is offered with the idea of ‘creation order’ as articulated within the tradition of reformational philosophy, that has developed in the line of the theologian Abraham Kuyper and the philosopher Herman Dooyeweerd. On the one hand the idea is compared to experiences of order that we come across in the history of mankind (as expressed in e.g. in ancient myths, but also in the break with myths in religion and philosophy), on the other hand it is compared to more philosophical interpretations of order expressed in the natural law tradition and in nominalism. 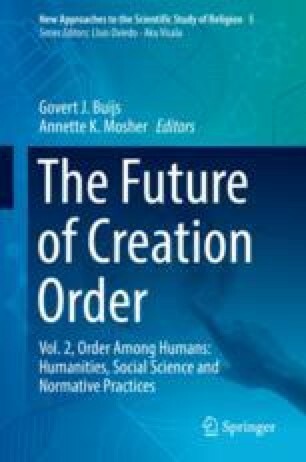 Referring to both Dooyeweerd and Geertsema, the idea of creation order is presented as a structured-ness of reality that does not diminish concreteness and particularity – as many more universal or general ideas of order tends to do – but allows for and even calls for human freedom to respond responsibly. It is as well clearly distinguished from modern social constructivist ideas of order.